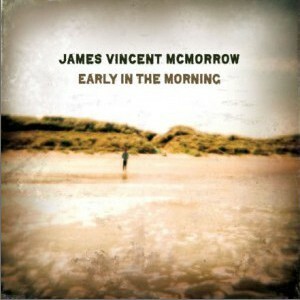 James Vincent McMorrowʼs self-titled EP is intended as an introduction to James’ debut record, Early In The Morning, which will be released in the US in January 2011. Comprising of four songs, two of which are taken from the album, and two unearthed demos, the EP is laced with haunting melodies, mythical storytelling, and musical structures that bring a singular and unique vision to the traditional folk style that emerged in the states in the 1960′s. Having self recorded, played and released Early In The Morning in Ireland earlier this year, James is preparing to disclose the album in the states making it available to American audiences for the first time. From start to finish, Early In The Morning is a ten-song recollection of one manʼs journey through a time of change and transition. Having four years worth of songs written and endless time to document them allowed for James to dissect each song and perfect. Early In The Morning begins with a five-part harmony echoing over the sounds of an organ and folk guitar in the eerie opener, If I Had A Boat. “I always knew when I wrote this song that it would open the album,” acknowledges James. “The last two years that preceded this record being made involved some of the greatest change Iʼd ever experienced, physical, emotional and spiritual. When I write lyrics they come together in a pretty uncoordinated way, lines get written, slowly link up until a story reveals itself. It was only when I was finished that I looked back and saw the words for what they were, realized what they meant.” Serving as a perfect prelude to the nine tracks that follow, If I Had A Boat lyrically captures the underlying tone of the entire album. Written about transformation and change, the first song is equal parts thoughtfully crafted words and inventive instrumental arrangements, serving as a foundation for the songs to come. Early In The Morning was released throughout Ireland in March 2010 and was incredibly well received. After landing the #1 spot on iTunes in the country, James embarked on his first proper Irish tour with a sold out show in Dublin. Offers from various labels to release the album in other countries began to filter in but when James heard Vagrant was interested he knew that was the perfect fit. 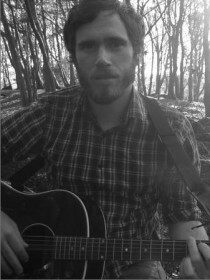 “Iʼve been a fan of the label since school, and getting to put out a record alongside bands like The Hold Steady, Edward Sharpe, and School Of Seven Bells is amazing.” James Vincent McMorrow will be releasing his self-titled EP, complete with songs off Early In The Morning digitally on October 5th via Vagrant Records.